The Collect (Prayer) for today: God, our refuge and strength, bring near the day when wars shall cease and poverty and pain shall end, that earth may know the peace of heaven through Jesus Christ our Lord. Every year St George’s supports the Poppy Appeal in Spain. Last year, the Royal British Legion in Spain collected almost 170,000 euros through the annual appeal. 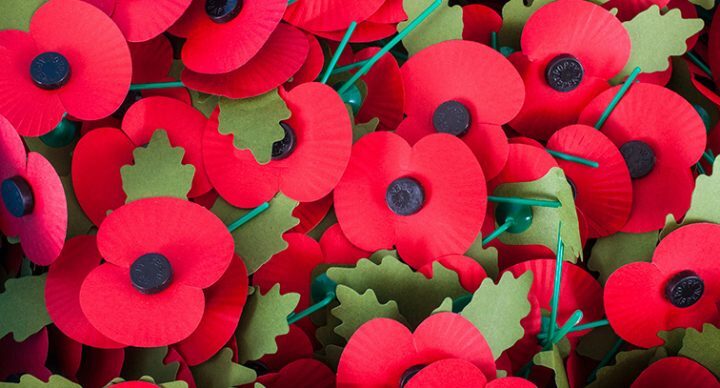 Today (Nov 11) is the last day to give a donation towards the work of the Royal British Legion and take a poppy or pin with you. For more information, visit the website of the Royal British Legion in Spain District North. Rev Paul Needle is presiding today while John and Deborah Chapman are in Andorra, taking the services there. Then, they will be at a meeting in Valencia for the Spain North chaplains, from Nov 12th to 14th. Please pray for the meeting.